The University of Dubuque wrestling team competes in the strongest wrestling conference in America. The American Rivers Conference (formerly the Iowa Intercollegiate Athletic Conference) routinely has 5-6 schools ranked in the NCAA Division III Top-20. The Spartans finished as high as third in the IIAC Championships and have claimed two national champions in the past few years. You will train with a quality staff who bring years of wrestling experience into the wrestling room. They will help you develop the tools it will take to be successful at the Division III level. If you want to be the best, be part of the Spartan wrestling team. University of Dubuque’s Tevin Bailey was on the wrong end of two close matches on Friday afternoon at the 2019 Division III Wrestling Championships, to be eliminated on the first day of the championships. Tevin Bailey of the UD wrestling team will wrestle in the NCAA Division III National Championships this weekend in Roanoke, Virginia in the 184 pound weight class. If you're interested in wrestling at the University of Dubuque, complete the prospect form, and a coach will be in touch. Tevin Bailey 184 Sophomore Reno, Nev.
Payton Binns 174 Freshman Lemon Bay. Fla.
Aaron Black 125 Freshman Clearbrook, Va.
Ethan Cain 197 Junior Polo, Ill.
Delmontae Davis 174 Sophomore Jacksonville, Fla.
Sean Debuck 133 Freshman Puyallup, Wash.
Jessy Diaz 157 Sophomore Yuma, Ariz.
Richard Diaz 143 Freshman Brentwood, N.Y.
Stone Durham 157 Freshman Rapid City, S.D. Yonas Harris 125 Freshman Boyds, Md. Greg Krulas 160 Junior Freeport, Ill.
Nile Laguna 133 Junior Phoenix, Ariz.
Nico Mazzanti 149 Freshman Woodstock, Ill.
Robert Melise 285 Sophomore Phillipsburg, N.J.
Nicholas Meyer 141 Senior Algonquin, Ill.
Malik Milazzo 165 Freshman West Chicago, Ill.
Michael Mutton 141 Sophomore Oakbrook,Ill. Danny Petrala 285 Sophomore Summit, N.J.
Terrin Rackouski 174 Sophomore Frankfort, Ill.
Kevin Royce 197 Sophomore Shalimar, Fla.
Caleb Sadler 133 Freshman Cobbs Creek, Va.
Andrew Saucedo 157 Sophomore Riverside, Calif.
Isaiah Williams 133 Sophomore Landover, Md. Noah Wynbrandt 174/184 Freshman Sanford, Fla.
Jevontea Yarbrough 148 Junior Miami, Fla.
5-6 record at 133/141 lbs. ... finished fourth at 141 lbs. at UD's Jim Fox Invite. 7-7 record with 1 pin at 125/133 lbs. Jon McGovern joined the Spartans as Head Wrestling Coach for the University of Dubuque in 2002. Prior to joining the staff at the University of Dubuque, McGovern was the head assistant coach at the University of Chicago. His knowledge of the sport was shared around the Chicago area where he volunteered his time running a freestyle wrestling club for high school youth. McGovern has led the Spartans to 109 duel meet wins during his 13 years at the helm, including a school-record 13 duel wins in 2015-16. The former Division I assistant coached UD to four top-20 finishes, two top-15 finishes at the NCAA DIII Championships, and 3 Top-15 NCAA Academic Scholar Team Finishes, and was named NCAA Division III Coach of the Year in 2006. Individually, the Spartans have seen 2 national champions, 1 national runner-up, 7 All-Americans,16 NWCA Academic Scholar All-Americans, 23 IIAC Academic Scholars, and 1 Iowa Conference Male Scholar Athletes of the Year during McGovern's tenure. McGovern spent 2000 year training full time at the Olympic Training Center in Colorado Springs. He placed 4th in the finals of the 2000 Olympic Trials in Dallas Texas. He was a 1998 US National Team Member and placed third at the 1998 US National Tournament and third at the 1998 World Team Trials. During the 1998-1999 season, he was the assistant head wrestling coach at the University of Pennsylvania where he helped coach the team to a school record 11th place finish in the NCAA Division I National Championships with three NCAA All-Americans and one NCAA Division I National Champion. In 1997-1998, he was the head assistant coach at the University of Virginia and helped coach the squad which set a school record of seven NCAA Division I National Qualifiers and a second place finish in the Atlantic Coast Conference Championships. McGovern graduated from Central College in 1992. As a Dutch, he earned the distinction of being a three-time NCAA Division III All-American, a three-time IIAC Champion, and a two-time NCAA Division III National Champion. 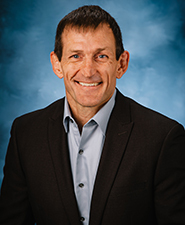 He graduated with a Master's Degree in Education from the University of Iowa in 1996. The native of Riceville, Iowa, was a four-time state qualifier and a three-time place winner in high school. Coach McGovern has coached the team to 109 team dual meet victories through 2015-16 since taking over a winless program. 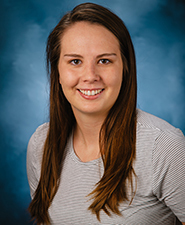 Ellie Schneider joined the University of Dubuque Wrestling program in the Fall of 2018 as a Graduate Assistant. Before landing in Dubuque Ellie studied Business Management at Dakota County Technical College. After completing her degree, she transferred to the University of Dubuque in the fall of 2016 to pursue a bachelor’s degree in Sport Marketing and Management. While at UD she played softball, was a member of the Student Athlete Advisory Committee, was Sport Marketing and Management Student of the Year for 2018, and had the top GPA of all senior student-athletes. Ellie graduated in the spring of 2018 and is now pursuing her Masters of Management- Sport Management degree. The University of Dubuque wrestling team finished the NCAA Division III Lower Midwest Regional with four place winners and sent Tevin Bailey (So., Reno, Nev./Damonte Ranch H.S.) to the 2019 NCAA National Championships, after he lost in the championship regional finals by a 10-4 margin. Bailey advanced into the finals after he rode out Cornell College's Bryce Oveson, to earn the riding time point for a 2-1 victory. Joining Bailey on the medal stand was Greg Krulas (6th) at 149, Jessy Diaz (6th) at 157 and Zarik Anderson (8th) at 165. In the regular season, the Spartans came away with a winning record of 10-8, but went 2-6 in American Rivers Conference matches to finish tied for sixth in the conference. Bailey would head to the NCAA Championships in Roanoke, Virginia, where he was eliminated on the first day after losing his first two matches, both of which came down to the wire. The 2016-17 campaign us an up and down season for a young Spartan squad. UD would finish the year 7-11 overall in duals and 3-5 in Iowa Conference action. One of the high points of the season came at the Central Regional and Quincy Kalkbrenner’s (Jr., 157 lbs., Lena, Ill./Lena-Winslow HS) run. He won his first match by a fall in 4:57 over Coe College's Cody Fritz. His victory would pit him against Loras' Jimmy Davis, a re-match from two weeks ago. In the dual meet versus Loras, Kalkbrenner won 7-3 in a mad scramble. This time, a late attempt for a takedown or back points would fall short as time ran out in the match, ending in favor of Davis 10-7 and sending Davis to the championship finals. Kalkbrenner bounced back from his first loss of the season and once again face Fritz in the wrestleback for third place and the qualifying spot for the national championships. Kalkbrenner won the match by a major decision 16-4 to place third to become the lone Spartan to qualify for the 2017 national championships where he would go 0-2. Coach Jon McGovern and the University of Dubuque wrestling team posted 13 dual wins, setting a school record and placed fifth in the Iowa Conference after posting a 13-10 record, 3-4 in the Iowa Conference. The Spartans were led by a trio of seniors in Stephen Rosenburg (133, 29-9), Adrian Collier (149, 22-11), and Elton Turnage (174, 23-12), who along with freshman Jeremy Melendez (141, 22-9) represented UD’s four, 20-win seasons. Turnage finished fourth at the NCAA Central Regional to just miss out on the national meet while Rosenburg was the other Spartan placewinner at Regionals with a sixth-place showing. The Spartans placed ninth of 13 teams overall. Collier racked up 14 pins in 2015-16 to become UD’s all-time pin leader. Alek Aragon, Julio Chavez, Joey Cisneros, Adrian Collier, Nathan Cristion, James Cunningham, Jason Davidson, Zach Depuy, Martin Flemming, Frank Frassetto, Cosmo Halwix, Dan Howell, Mark Johnson, Ethan Kleitsch, Kody Krenz, Stephen Kruse, Terry Kubski, Mason Kwilinski, Mitchell Kwilinski, Michael ladaika, Drew Lattner, Matthew Leveille, Sawyer McCaffrey, Manny Mendoza, Brendan Menacher, Nicholas Meyer, Miguel Modeste, Max Obois, Cody Ortmann, Nicholas Rivera, Jesus Rodriguez Jr., Stephen Rosenburg, Joseph Shue, Jared Smith, Dominic Sterr, Riley Sweetland, Brian Travis, Elton Turnage-Manuel, and Keegan Witbeck. Asst. Coaches: Mike Mena, Josh Terrell, Ryan Warczynski, and Greg Lettman. The University of Dubuque wrestling team finished the season with a record of 8-13, 3-4 Iowa Conference (IIAC) and ended up fourth out of eight in a rugged conference that featured three IIAC schools in the final Top-10 NWCA wrestling poll. The Spartans entered the NWCA rankings throughout the season and attained the #30 spot in the Week 6 poll following a four-match winning streak that boosted their resume. UD’s 149 lbs. senior Brian Travis (20-5 overall record) achieved a #8 individual NWCA ranking in Week 1 and ended up #9 in the last poll he was featured in during Week 6. Getting it done both on the mat and off, the Spartans received a Division III Scholar Team Award (Top 30 teams in the nation) and finished the season 27th nationally with a team GPA of 3.27. Travis and 165 lbs. senior Manny Mendoza (12-9) were both named NWCA Scholar Academic All-Americans. The foursome of Travis, Mendoza, 174 lbs. junior Elton Turnage (19-18), and 285 lbs. senior Dan Howell (16-11) were all one win away from clinching a berth to the DIII Wrestling National Championships, but fell in their semifinal matches. The Top-3 from each weight class at the NCAA Central Regionals advance and a spot in the final would’ve secured spots for all four. Howell and Turnage each succumbed to a 1-point defeat, while Travis fell by major decision and Mendoza was pinned by Coe’s eventual 165 lb. NCAA National Champion. Mendoza placed sixth as the remaining three finished fifth in their respective Regional bracket, hosted by Loras College at the Five Flags Center in Dubuque. UD’s 141 lbs. Stephen Rosenburg (12-13) also garnered a fifth-place showing. UD’s Turnage led the charge during the conference season after compiling a 6-1 record in seven IIAC duals, including a win over Coe’s national qualifier and a narrow 7-4 defeat to Wartburg’s national qualifier. Turnage’s efforts helped the Spartans roll to IIAC wins over Central (22-15), Buena Vista (31-9), and Simpson (36-3). Narrow defeats to Loras (18-24) and #10 Coe (17-18) overshadowed big setbacks to #1 Wartburg and #8 Luther. Senior 133 lbs. Nic Rivera (18-16) battled through injury to win his final three IIAC matches of the year. Highlighting the non-conference slate was Travis and UD wins leader, 125 lbs. Joey Cisneros (26-9), who both claimed individual titles at the North Central Tournament on December 13, and led the Spartans to a third-place showing out of nine teams. Five other Spartans garnered top-5 performances in a total team effort. Other victories included a 27-15 win over #8-ranked junior college, Harper College (Ill.), a 41-0 rout of UW-Platteville on the road, a 36-12 win over Wheaton (Ill.), and a 21-20 thriller over UW-Stevens Point thanks to a tie break. Cisneros, Rosenburg, and Turnage will highlight next year’s squad as they look to climb the IIAC hierarchy and national rankings. Alexander Banks, Logan Chappell, Julio Chavez, Adrian Collier, Nathan Cristion, Jason Davidson, Alexander Dennis, Dylan Dietz, Nicholas Drendel, Martin Flemming, Frank Frassetto, Javier Guillen, Trey Hess, Dan Howell, Kody Krenz, Joseph Kubica, Terrence Kubski, Michael Ladaika, Drew Lattner, Matthew Leveille, Joshua Lewis, Manuel Mendoza, Derick Minch, Derek Mizaur, Cody Ortmann, Zac Osborn, Layne Palm, Kris Powars, Eric Powell, Nicholas Rivera, Stephen Rosenburg, Benjamin Schneider, Logan Sherman, Joseph Shue, Jared Smith, Logan Staver, Alex Steffen, Jake Steffen, Ronny Torres, Brian Travis, Elton Turnage, Curtis Turpin, Jake Volkey, Shykeem Williams, and Nikolis Zicuis. Asst. Coaches: Mike Mena, Josh Terrell, Ben Friedl, Chris Sokol, and Ryan Warczynski. Dylan Ash, Jordan Baskerville, Andrew Burr, Julio Chavez, Adrian Collier, Nathan Cristion, Jason Davidson, Chris Dvorak, Logan Einerson, Kyle Fredette, Dalton Grinstead, Joseph Kubica, Terry Kubski, Matthew Leveille, Josh Lewis, Manny Mendoza, Derek Mizaur, Drew Niebhur, Cody Ortmann, Zac Osborn, Kris Powars, Eric Powell, Nicholas Rivera, Ben Schneider, Joe Shue, Derick Smith, Jared Smith, Christopher Sokol, James Steiner, Brian Travis, Elton Turnage, and Ryan Warczynski. Asst. Coaches: Michael Mena, John Deneen, Josh Terrell, Ben Friedl, and Chad Cook. The 2012-13 University of Dubuque Wrestling team finished the season with a 10-8 overall record and tied for third place in the Iowa Conference at 4-3. The Spartans were defeated in the third place match by Luther. UD placed third at the NCAA Central Region Championships with 110.5 team points. Dubuque qualified five for the NCAA Division III National Championships. Sophomore Brian Travis won the individual title at 141 pounds and earn his first trip to the national tournament. Seniors Chris Sokol (133 lbs.) and Ryan Warczynski (157 lbs.) each finished second to advance. Warczynski qualified for the fourth time, becoming the second Spartan to earn four trips to the DIII Championships. Junior Eric Powell-Adair (149 lbs.) and sophomore Joe Kubica each advanced with third place finishes. Earning All-Iowa Conference for the Spartans were the five national qualifiers and Derek Mizaur who took fourth at the Central Regionals. The Spartans were ranked all season by the NWCA, reaching #16 for in Polls # 5 and #6. Derek Mizaur and Cody Ortman earned Academic All-Iowa Conference. Derek Mizaur and Chris Sokol were named NWCA Scholar All-Americans. Aiseah Achesah, Travis Arreguin, Ray Bryant, Kurt Cain, Emilio Colecio, Chad Cook, Nathan Cristion, Dylan Dietz, Logan Einerson, Cole Endeldinger, Siven Furseth, Dalton Grinstead, Chase Holloway, Jason Huebbe, Sam Johnson, Joseph Kubica, Terrence Kubski, Matthew Leveille, Josh Lewis, Matt Manning, Manny Mendoza, Derick Minch, Derek Mizaur, Cody Ortmann, Gary Pape, Eric Powell, Nicholas Rivera, Marcus Rivera-Ingalls, Ben Schneider, Derick Smith, Jared Smith, Christopher Sokol, Yuki Sorci, James Steiner, Andre Taylor, Brian Travis, David Vinton, Jacob Volkey, and Ryan Warczynski. Head Coach: Jon McGovern. Asst. Coaches: Bobby Larson, Evan Brown, John Deneen, Anderson Sainci, and Nicolai Timbs. The 2011-12 University of Dubuque Wrestling team finished the season with a 5-6 overall dual record and tied for fifth place in the Iowa Conference at 4-4. The Spartans finished fifth at the 2012 IIAC Championships. Juniors Logan Einerson (174 lbs.) and Ryan Warczynski (149 lbs.) finished third at the IIAC Championships. UD finished the season ranked #21 by the NWCA. Matt Manning, Derek Mizaur, and Derek Schumacher earned Academic All-Iowa Conference. Mizaur was selected NWCA Academic All-American. As a team, UD earned the NWCA Division III Scholar Team Award for finishing with the 17th best GPA in the nation. Marquin Alberty, Zach Altman, Andrew Arrendell, Michael Butterfield, Justin Cedeno, Chris Divito, Logan Einerson, Jake Hicks, Tyler Hoerner, Chase Holloway, Daniel Howell, Devon Johnson, Sam Johnson, Chris Ketchum, Josh Lewis, Matt Manning, Manny Mendoza, Derick Minch, Derek Mizaur, Gino Muzzalupo, Kris Powars, Eric Powell, Ben Schneider, Derek Schumacker, Jared Sexton, Joe Shue, Derick Smith, Christopher Sokol, Andre Taylor, Josh Terrell, Garret Ventrice, David Vinton, and Ryan Warczynski. Head Coach: Jon McGovern. Asst. Coaches: Even Brown, Bobby Larson, and Anderson Sainci. The 2010-11 University of Dubuque Wrestling team finished the season with a 9-6 overall dual record and fourth place in the Iowa Conference at 5-3. The Spartans finished third at the 2011 IIAC Championships. Senior Josh Terrell won his third straight IIAC title at 165 lbs. Junior Sam Johnson finished second at 197 lbs. Terrell would go on to win the championship at the NCAA DIII National Championships. Johnson finished sixth to earn All-American honors as well. UD finished the season ranked #26 by the NWCA. Matt Manning earned Academic All-Iowa Conference. Josh Terrell was selected NWCA Academic All-American for the third straight year and also earned Third Team Capital One/CoSIDA Academic All-American. As a team, the Spartans earned the NWCA Division III Scholar Team Award with the sixth best GPA in the nation. Evan Brown, Justin Cedeno, Emilio Colecio, Jake Durbin, Logan Einerson, Dalton Grinstead, Nick Hagen, Jake Hicks, Sam Johnson, Andrew Knoll, Ryan Lessner, Danny Lowe, Seth Noland, Anderson Sainci, Christopher Schiewe, Mark Schultz, Derick Smith, Christopher Sokol, Josh Terrell, Caleb Vogel, Ryan Warczynski, and Ben Watts. Head Coach Jon McGovern. Asst. Coaches: Erik Honda, Darrin Kaisand, and Bobby Larson. The 2009-10 University of Dubuque Wrestling team finished the season with a 7-6 overall dual record and tied for third place in the Iowa Conference at 5-3. The Spartans finished fifth at the 2010 IIAC Championships. Senior Evan Brown (174 lbs.) and junior Josh Terrell (165 lbs.) won titles at the IIAC Championships. Freshman Ryan Warczynksi (157 lbs.) finished in second place. Brown would finish second and Terrell finished third at the NCAA DIII National Championships to earn All-American honors. UD finished the season ranked #20 by the NWCA. Josh Terrell earned Academic All-Iowa Conference and was selected NWCA Academic All-American for the second straight year. Pat Bauer, Evan Brown, Justin Cedeno, Eric Daughetee, Trent Depperman, Jake Durbin, Nick Finkenbinder, Dalton Grinstead, Jefrey Grunder, Nick Hagen, Patrick Hanley, Nathan Harm, Kristopher Higgins, Ryan Lessner, Zach Mueller, Ronald Oliver, Taylor Osborn, Christopher Owens, Anderson Sainci, Mark Schultz, Christopher Sokol, Josh Terrell, and Matt Wonderlin. Head Coach: Jon McGovern. Asst. Coaches: Bobby Larson, Matt Lansing, Darrin Kaisand, and David Cedeno. The University of Dubuque Wrestling team finished the season with a 6-5 overall dual record and tied for third place in the Iowa Conference at 5-3. The Spartans finished fifth at the 2009 IIAC Championships. Sophomore Josh Terrell won the 165 lbs. title at the IIAC Championships. Senior Matt Wonderlin (197 lbs.) and Junior Evan Brown (174 lbs.) finished second. Brown went on to win the championship at the NCAA DIII National Championships. Terrell finished sixth to earn All-American honors as well. UD finished the season ranked #15 by the NWCA. Josh Terrell earned Academic All-Iowa Conference and was selected NWCA Academic All-American. Steve Basista, Donte Brown, Evan Brown, Adam Canty, Hunter Davenport, Joe DePew, Cesar Dominguez, Jake Durbin, Jacob Elmhorst, Matt Evans, Joe Greenhagen, Nick Hagen, Nate Harm, Gordon Johnson, Darrin Kaisand, Nick Klein, Kurt Kruger, Mark Schultz, Andre Taylor, Josh Terrell, Ron Uccardi, and Matt Wonderlin. Head Coach: Jon McGovern. Asst. Coaches: Jared Creason, Brian Keck, and Bobby Larson. 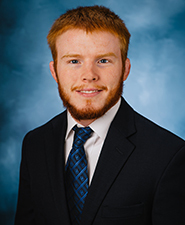 The University of Dubuque Wrestling team finished the season with an 11-8 overall dual record and tied for fourth place in the Iowa Conference at 5-3. The Spartans finished seventh at the 2008 IIAC Championships. Sophomores Evan Brown (174 lbs.) and Josh Terrell (157 lbs.) finished in third place at the IIAC Championships. Terrell also finished fourth at the NCAA DIII Championships to earn All-American honors. Joseph DePew and Josh Terrell earned Academic All-Iowa Conference. Pat Bauer, Evan Brown, Frederick Collins, Eric Daughetee, Joseph Depew, Cesar Dominguez, Josh Dunn, Jake Durbin, Jacob Elmhorst, Mathew Evans, Jason Francis, Brian Gaffney, Chris Goodwin, Nate Harm, Anthony Higgins, Corey Howard, Scotty Hutton, Chris Jackson, Darrin Kaisand, Kurt Kruger, Robert Larson, Hakeem Mahdi, James Mundy, Ron Oliver, Brandon Page, Chuck Pieritz, Chris Pinotti, Dan Ruter, Anderson Sainci, Marc Sainci, Adam Schumacher, Ben Swan, Andre Taylor, Phil Vogt, Matt Wonderlin, and Adam White. Head Coach: Jon McGovern Asst. Coaches: Brian Keck and Cole Williams. The 2006-07 University of Dubuque Wrestling team finished the season with an 8-9 overall dual record and tied for eighth place in the Iowa Conference at 2-6. The Spartans finished eighth at the 2007 IIAC Championships. Senior Robert Larson (174 lbs.) finished in second place at the IIAC Championships. Dan Ruter earned Academic All-Iowa Conference. Ruter was also named NWCA Scholar All-American and Second Team ESPN The Magazine/CoSIDA Academic All-District. Patrick Bauer, Michael Berrones, Brian Blair, Matt Borodich, David Burnett, Cesar Dominguez, Jacob Elmhorst, Brian Gaffney, Nathan Harm, Erik Honda, Corey Howard, Scotty Hutton, Chris Jackson, Jeremy Jennings, Brandon Jones, Darrin Kaisand, Matthew Kelly, Brennan Kenney, Timothy LaGow, Bobby Larson, Hakeem Mahdi, Chris Matos, Rudy Maynez, Michael Miller, Kyle Morrow, James Mundy, Ron Oliver, Daniel Ruter, Mark Sainci, Benjamin Swan, Nickolai Timbs, Lance Wetter, Cole Williams, Matt Wonderlin, and Phillip Vogt. Asst. Coaches: Doug Lee, Sean Pearl, Dusty Bennett, Dave Dahl, and Nate Specht. Dan Ruter, Nickolai Timbs, and Lance Wetter earned Academic All-Iowa Conference. Ruter, Darrin Kaisand, and Kyle Morrow were selected NWCA Scholar All-Americans. Ruter was also named Second Team ESPN The Magazine/CoSIDA All-District. As a team, the Spartans earned the NWCA Division III Scholar Team Award with the fifth best GPA in the nation. Pat Bauer, Sean Brown, David Cedeno, Ben Cothran, Josh Cross, Cesar Dominguez, Jacob Elmhorst, Rick Giddings, Brandon Jones, Darrin Kaisand, Bobby Larson, Rudy Maynez, Kyle Morrow, James Mundy, Dan Ruter, Benjamin Swan, Nickolai Timbs, Lance Wetter, Cole Williams, and Matt Wonderlin. Head Coach: Jon McGovern. Asst. Coaches: Jason Gordon and Doug Lee. The 2004-05 University of Dubuque Wrestling team finished the season with a 10-11 overall dual record and sixth place in the Iowa Conference at 2-6. The Spartans finished sixth at the 2005 IIAC Championships. Junior Cole Williams (165 lbs.) finished in second place at the IIAC Championships. Nickolai Timbs earned Academic All-Iowa Conference and was also selected NWCA Scholar All-American. As a team, the Spartans earned the NWCA Division III Scholar Team Award with the second best GPA in the nation.